The Student Activity Association brought pinatas, food and music. Dancing occupied most of the night, either solo, in couples, or a group dance. Spanish music was heard all last Friday night, Sept. 23, in the commuter lounge. There was music, dancing, limbo and a piñata. Even children came to dance and take a swing at the candy-filled donkey. “The Spanish community is very wide spread,” said Angela Dutan, president of the Latin American Association. He explained it as being like visiting a new restaurant. You are hesitant to try new foods because you are unsure if you’ll like it. 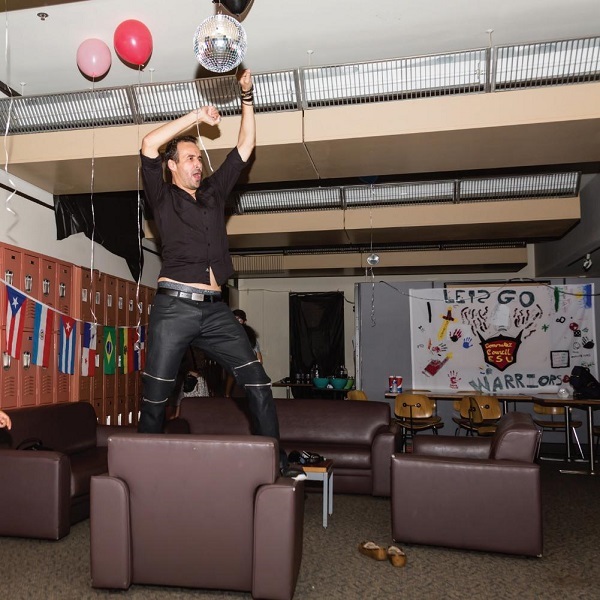 The music and glowing lights drew students into the Commuter Lounge. The thump of Reggaetón, Latin pop and Bachata had people running for the dance floor within minutes of arriving. National Hispanic Heritage Month runs from Sept. 15 through Oct. 15. The month celebrates Latin history, culture and traditions. The start date aligns with the anniversary of independence for many Latin American countries. Many campus clubs are honoring Hispanic Heritage month. For example, The Modern Languages Department is hosting a Latino Film series. The festival, which runs until Oct. 17, features films from a plethora of Latin countries. Free popcorn is also given out at the event. If you are thinking of getting involved in our ever-growing Spanish community, go and explore.